Bellevue should step up its homelessness response because housing and caring for these individuals is not just a Seattle responsibility. At the beginning of May, Bellevue’s winter men’s homeless shelter closed its doors for the season. And, disappointingly, the City Council’s plans for a permanent year-round shelter have been delayed by at least a year, largely due to loud public opposition. Some of the men who had been using the Congregations for the Homeless winter shelter and its wraparound services went back to camping in the woods or took a bus into Seattle and moved into another shelter. And 90 bunks in a clean and safe facility now sit empty. Of the unsheltered homeless in King County counted one night in January 2017, just 5 percent, or 284, were living east of Seattle. The vast majority of the county’s homeless are living in Seattle in shelters, their cars, greenbelts and in the woods. 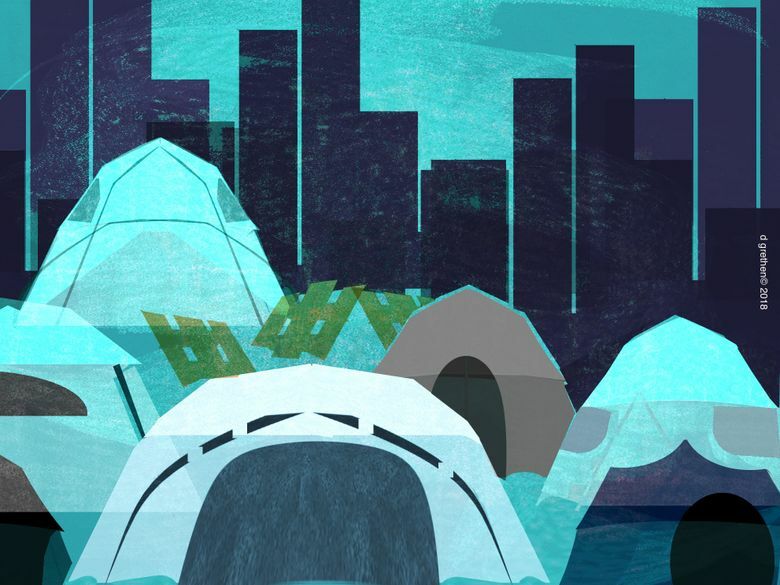 Homelessness is not just Seattle’s problem to solve. Housing and caring for these individuals is a regional responsibility, and Bellevue, the county’s second largest city, clearly needs to step up and do its part. The city is helping, but not enough. Congregations for the Homeless has other housing programs and gives a temporary or permanent place to live to about 1,200 people a year. A handful of other nonprofits offer shelter as well. The city spent just under $1 million on shelters, day centers, housing and homelessness prevention and outreach in 2017. Bellevue’s population of about 141,000 represents about 5 percent of King County’s population of more than 2 million, but its spending on homeless services is a considerably smaller percentage of the county’s estimated $200 million total. Bellevue leaders have acknowledged publicly that the city needs to do more, and the City Council is working on a new homeless-shelter ordinance that should make it possible to open a permanent, year-round men’s shelter sometime in the next three years. The previous estimate called for a shelter opening by 2020 — at least a year earlier. Strong community opposition to the council’s preferred shelter location next to the Eastgate Park and Ride slowed the process, which ratcheted down the tone of the debate. But that peaceful debate is ignoring the moral urgency to house the men who have been living at the temporary shelter near downtown Bellevue, trying to put their lives back together. The city has said the temporary shelter cannot be open year-round because of significant repairs needed at the temporary home for Congregations for the Homeless. It doesn’t meet code for fire safety. Its heating system is on its last legs, and the building has other issues. Bellevue Mayor John Chelminiak says it could cost more than a million dollars to fix the building and allow it to be open 24 hours a day year round. He doesn’t think the city should take so much money away from its plans to open a better, more permanent shelter. That’s not good enough. Open the shelter sooner, not later. The men living in the woods behind the grocery store in the Eastgate area are paying the price.